Tickets available from an external site. 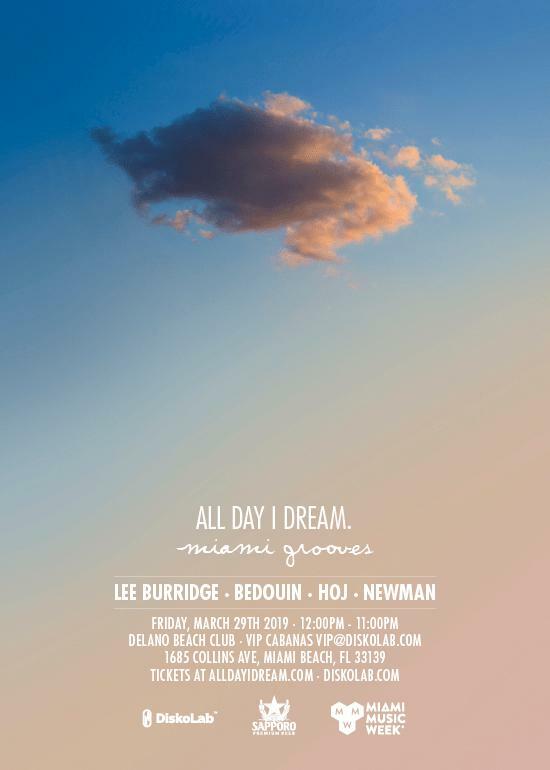 ll Day I Dream will be touching down at the Delano South Beach on March 29 to offer yet another day of blissful musical escapism from the chaos surrounding Miami Music Week. Sonic conductor Lee Burridge will be assembling a slew of labelmates to join him in supplying ethereal soundtracking throughout the day-into-night soirée.